Richard Frisby founded his own agency, Richard Frisby Bloodstock Limited in August 2001, following 16 years with the BBA Bloodstock Department. Richard’s training prior to joining the BBA included a season with Sir Michael Oswald CVO, manager of the Royal Studs, at the time SHIRLEY HEIGHTS was at the pinnacle of his career. This was followed by a season preparing yearlings for Mrs Alice Chandler at Mill Ridge Farm, Kentucky for the July, Saratoga and September yearling sales. 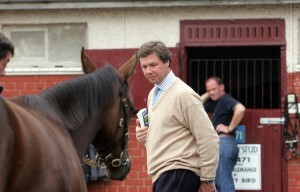 He then returned to Newmarket to assist Ben Hanbury prior to joining the BBA. Richard was a director of the BBA with responsibility for purchase of horses and management of client’s racing and breeding interests in the UK and many countries worldwide. Since inception Richard Frisby Bloodstock has established itself as a leading bloodstock agency. Richard’s principal domestic black type purchases and notable performers include MARGOT DID, DAWNUS, LONDONNETDOTCOM, SATCHEM, RED FORT, HOTELGENIE DOT COM, CORINIUM, BIANCA NERA, NAME OF LOVE, MAID FOR WALKING, MAID FOR THE HILLS, MITCHAM, RIO DUVIDA, PLEASE SING, INTREPID JACK, MULLEIN, PYRRHA, SABRATAH, DOLPHIN VISTA and Cheltenham Festival winner MY YOUNG MAN. He has also purchased the dams of the following Champions: LADY OF CHAD, FAME AND GLORY and SIMPLY PERFECT. Jane Jonason handles all the office administration and accounts. 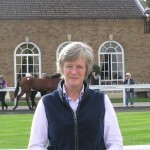 Jane was previously personal assistant to Christo Philipson, Chairman of the BBA and also the BBA office manager, she joined Richard in August 2001 to establish Richard Frisby Bloodstock.